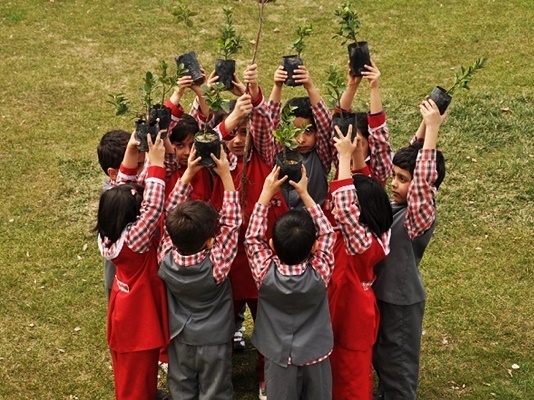 An Iranian lawmaker says the culture of tree planting is required to be promoted among the people, stressing that planting tree saplings should not be only exclusive to the National Arbour Day, annually marked in Iran on March 5. Iranian lawmaker Jalil Mokhtar says the culture of planting tree saplings is required to be fostered among Iranians. National Arbour Day should not be the only day on which people plant tree saplings, he noted, according to a Farsi report by ICANA. Commenting on the National Week of Natural Resources (March 5-11) and National Arbour Day (March 5) in Iran, Mokhtar said Islam gives considerable importance to planting tree saplings and preserving the environment. To achieve a balance in the nature, he added, people are required to take decisive steps towards protecting the environment and preserving the forests as well as natural resources. Referring to the remarks by the Leader of the Islamic Revolution Ayatollah Seyyed Ali Khamenei on the importance of tree planting and preserving natural resources, the parliamentarian said Ayatollah Khamenei pays special attention, theoretically and pragmatically, to tree planting and protecting the natural resources, adding the Leader plants a tree sapling every year on the National Arbour Day. He said planting tree saplings is of enormous value in the Islamic culture, slashing the gradual destruction of the country’s gardens and natural resources. Mokhtar noted that turning Iran’s gardens and farmlands into trade, industrial and residential centres and units has led to a drop in the number of the country’s gardens and the destruction of the natural resources, adding this is while such moves are violation of law. He stressed that all Iranian people and organizations and bodies are also required to feel responsible towards protecting the country’s environment and natural resources, adding environmentalists and NGOs can also work towards this end by fostering proper culture among people. Mokhtar said the DoE is required to turn into a ministry with a number of supervisory vice-presidencies which has strong leverages and effective pragmatic plans. He stressed that this move will help the Iranian Parliament improve its supervision over the DoE’s function, performance and activities, adding the DoE, itself, will be able to be more responsive and responsible to the people and the Parliament.